If you are looking for a great, centrally located venue for your next conference, expo, seminar or function, then look no further than the Queen Elizabeth II Seniors and Community Centre. The QEII has four rooms to choose from, including the spacious upper and lower halls, as well as two meeting rooms. For information on other services the QEII Centre provides the community, please visit the QEII Centre Seniors Information page. Click here to download a sitemap. The Upper Hall can accommodate 400 people and features reverse air-conditioning, alfresco area, stage, dance floor, tables, chairs and sound equipment, as well as a fully equipped commercial kitchen. The Lower Hall can hold a maximum of 250 people and features ceiling fans, stage, dance floor, tables, chairs and sound equipment, as well as access to the fully equipped commercial kitchen. 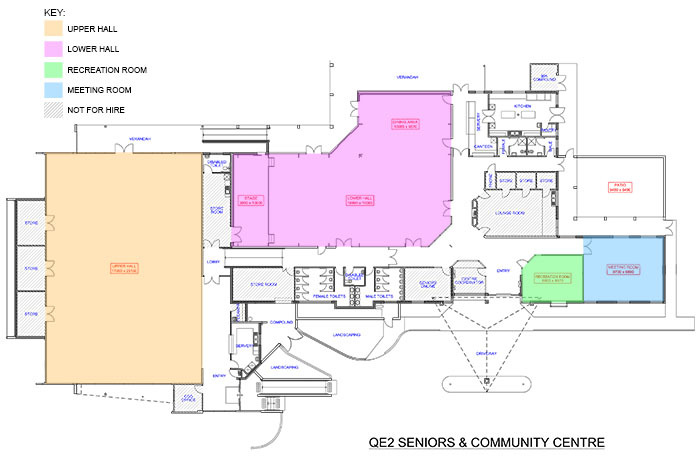 For a more in-depth breakdown of hire costs and inclusions, please click here to download the QEII Seniors and Community Centre hire costings information document. 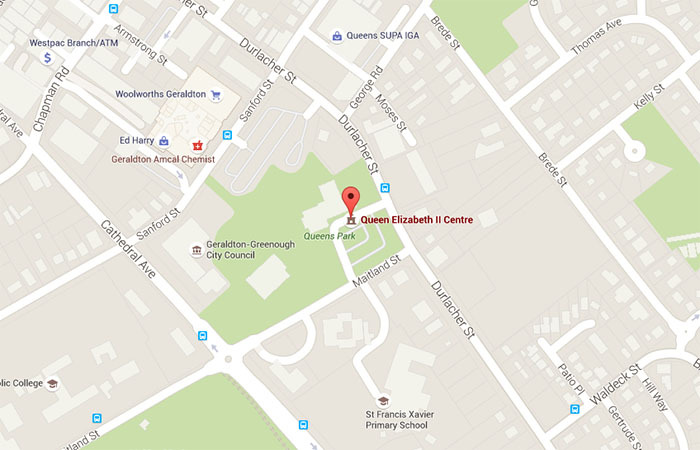 The QEII Centre is centrally located in Geraldton at 88 Durlacher St.
QE201 - QEII Centre Booking Form is available from the Online Forms page. Click here to view the QEII Centre Terms and Conditions of hire. Alternatively, you may contact the QEII Centre on (08) 9956 6636 for more information.